On May 10, 2018, a dam burst near the city of Solai in Western Kenya killing over 45 people. Weeks of heavy rain had already displaced tens of thousands of Kenyans, and the dam failure brought the death count to over 100. A week earlier and three hours to the south, Kamweti Mutu noted unusual flooding in his own backyard. Heavy rains continue even through May, fulfilling the prophecy of above average rains this long rainy season. 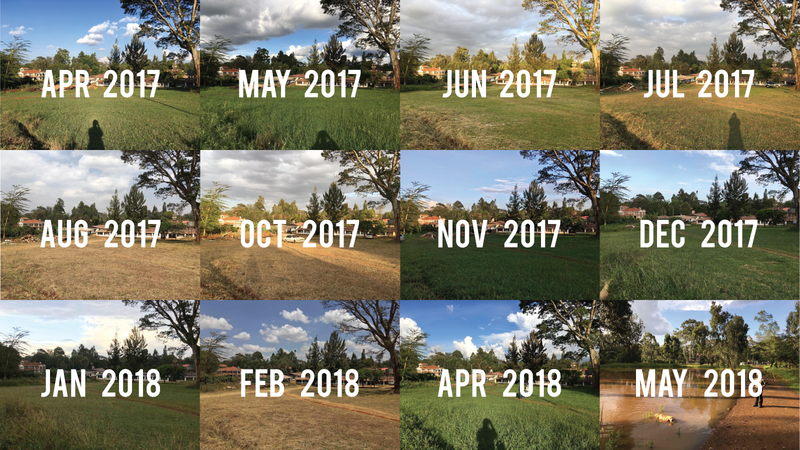 For the past year, Mutu, a programs specialist with an agricultural NGO, has been photographing his backyard in suburban Nairobi each month on ISeeChange. Mutu’s photos indeed signaled how much the landscape changed as the rains fell – or failed to fall – over the last year. East Africa has two rainy seasons- one March through May that’s called the long rainy season, and a short one in November and December. Recent years’ seasons have been particularly extreme. During 2017 and 2018 Mutu’s grass cycled from lush green, to yellow and brittle, to drowned under muddy waters. A year in Kamweti Mutu’s neighborhood. See Mutu’s posts on ISeeChange. What Mutu was documenting in his photographs felt particularly extreme. Sometimes his neighborhood faced prolonged drought, and other times the rains fell so hard that the community flooded. Mutu has also seen social troubles worsen as extreme drought hit in the midst of a tightly contested election campaign in 2017. He wants to know if this cycle of drought and flooding will become the new normal, and what that could mean for Kenya. Scientists know that temperatures in East Africa are rising. According to a report from the Intergovernmental Panel on Climate Change the change in overall annual temperature has risen between 1-2°C between 1901 and 2012. Future precipitation predictions are less certain, in fact scientists have been studying what has become known as the East African climate paradox: Climate models suggest that the region is likely to get wetter by the end of the 21st century. Yet, recent decades have been predominantly marked by drought. Scientists like Chris Funk, a senior research geographer with the US Geological Survey and UC Santa Barbara, have been trying to sort out this contradiction. Funk notes that large-scale models don’t account for all of the different details of East Africa. In reality, the effects of climate changes vary across location and season. In fact, in a large swatch of east Africa that includes Nairobi, Funk and his team observed that average rainfall during the spring long-rains season saw a major decline. Looking towards 2040: “Our group thinks that’s quite likely to persist or perhaps even get worse,” Funk said. But, he notes that there is reason to believe that the short-rains season in late fall, could see an increase in rainfall as well as more extreme precipitation events. In other words, the extreme month to month swings Mutu documented last year, could be a preview of Kenya’s future climate. What does this mean for farmers? The rainy season hasn’t just shifted. It’s also shorter. And a shorter season means less productive farms. According to UNICEF three years of drought have already caused the number of Kenyans facing the threat of hunger, to double from 1.3 million to 2.7 million. Conditions in Nairobi and most of Kenya are still dry. Indeed farmers are facing tough times, with commodity crop reserves falling low, and tree saplings dying. 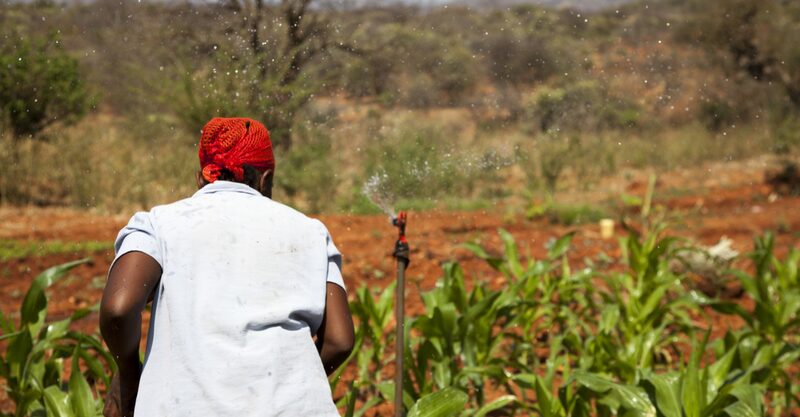 Agriculture is also a major source of jobs in Kenya according to John Mukum Mbaku, a Nonresident Senior Fellow at Brookings’ Africa Growth Initiative and an economics professor at Weber State University. Between employment and food insecurity, climate change can become a political issue. “Anything that affects agriculture will affect people and so climate change becomes a very important political tool if you are campaigning for public office,” Mbaku said. Which brings us to last year’s election. The current Kenyan government has been wracked with accusations of corruption, and many citizens are critical of how it handled the drought. “Constituents are questioning their incumbents about the sheer lack of disaster preparedness every drought-to-flood cycle,” Mutu said. In Nairobi, Mutu said, the impact of changing rainfall patterns on agriculture is felt in higher prices on store and bodega shelves, hurting low-income families the most. The impact in rural areas is even worse. Five hours north of Nairobi in Laikipia County, drought stress contributed to violence between cattle herders, farmers and conservationists for much of 2016 and 2017. Throughout the presidential campaign between Uhuru Kenyatta, the incumbent since 2013, and Raila Odinga, a long-time political challenger, the two candidates tried to use the drought to their political advantage. “If you read articles or if you were listening to radio at the time, one of the things you saw was that there were politicians who were using drought as a way to galvanize their supporters basically on both sides,” Mbaku said. The strategy was particularly effective for Odinga’s opposition campaign. “It’s easy for an opposition leader, who is not in government, to tell a poor person that your poverty is because the government hasn’t done enough,” Mbaku said. After a contentious and contested election, which led to protests and state violence in some areas and ultimately a new election, Kenyatta ultimately held on to the presidency. But he now has to grapple with how to handle the impacts climate change is having on Kenyan citizens – including the latest flooding disasters. In the past, “Nobody’s really brought to book over failed bridges, dams, shrinking forests and illicit construction, ” Mutu said. But the Kenyan government has pledged to investigate the cause of the dam failure near Solai. “As impacts intensify, including intense dry seasons, erratic onset of rainy season and flash flooding, I think people will demand more accountability from our regulatory bodies and leadership change,” Mutu said. In 2016, Kenya adopted the Climate Change Act which aimed to increase resilience and support sustainable development throughout the nation. Yet, at least for now, most adaptation efforts come from outside the government. How will Kenyan Farmers Need to Change? Both domestic and international organizations have been working on projects to adapt the country’s agricultural sector to future climate change. The organization that Recha works with, CGIAR, has been working on a program in the country called climate smart agriculture. Recha and his colleagues look at the challenges farmers face and provide a portfolio of climate adaptation options for them to implement. For example, because of the shortened growing season due to a later rainy season, Recha recommends farmers use early-maturing crops. In many cases, he suggests seeds for genetically modified corn crops. But modified seeds can be pricey, so Recha educates farmers about crop diversity- things like sorghum, cassava and sweet potato that they can plant instead of corn. Beyond changing crops, climate smart agriculture teaches alternative water and land management techniques for ranchers. One farm that Recha was particularly proud to work with cross-bred local sheep with a breed called Red Maasai to create a herd that was more heat tolerant and less susceptible to parasites. “This is important because we have a population that is growing, and there’s an increasing demand for food,” Recha said. As people and nations face climate change, Kenya’s story has echoes across the world. To help us study the impacts of change in your neighborhood, try out Kamweti Mutu’s method of photographing the same spot over time. We want to know how your world changes. 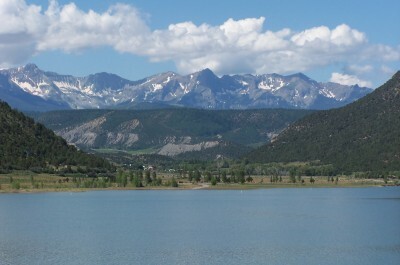 Is the range for bluebirds changing in the Rockies? 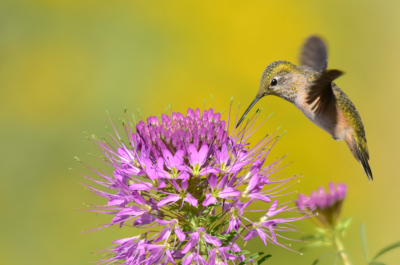 How will plants and their pollinators face a warmer world? 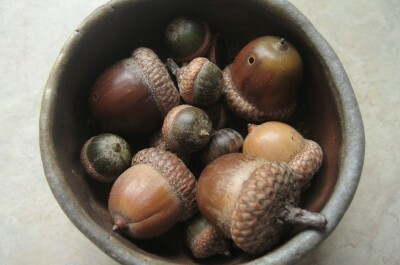 What’s behind a big acorn crop?